Try this dish with Better Than Bouillon Premium, Reduced Sodium or Organic Roasted Beef Base. Add the oil to a large skillet over high heat. 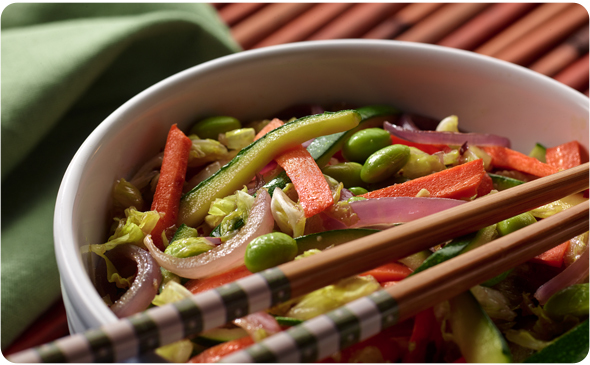 Add cabbage, carrots, onion, zucchini and edamame. Cook for 3 minutes. Add the garlic and ginger, sauté for 30 seconds. Add Vegetarian No Beef Base, brown sugar, red pepper and soy sauce to a bowl, whisk to combine. Add the sauce and cook for 1 -2 minutes more minutes. Serve immediately.